I was lucky enough to be one of the recipients of Zoyas Pinterest Trio giveaway! They sent me a cute little box of Zuza, Myrta and Kimber. All these polishes are from Zoyas new summer 2012 collection. Zuza is my absolute favorite. This blue shimmer formula applied beautifully and went on opaque in two easy coats. 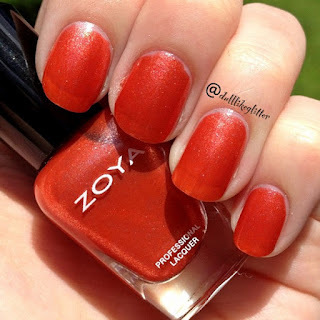 The best thing about Zoya is that they are vegan and animal friendly! No animal testing for these polishes. Next is Myrta. This polish was a little more translucent than Zuza. You can still see through to the nail tip after two coats but the formula was wonderful once again! The orange shimmer is really beautiful and I have a feeling I'll be sporting this come the fall. Finally we have Kimber! 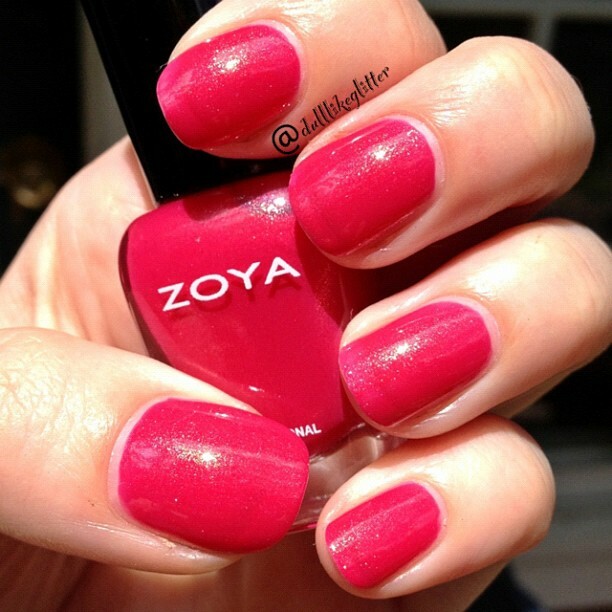 This hot pink is full of wonderful shimmer and pop for the summer. The colors really fit well together as a collection. This was my first time trying Zoya and now I want more! I love supporting companies that are conscious about their business practices too. Zoya is always careful not to include known harmful chemicals in their polishes. I highly suggest trying out any of Zoyas summer collection if you can get your paws on it.